In 1954, you arrived in Los Angeles from Coney Island. 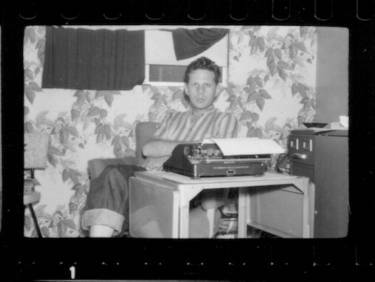 You came with your portable typewriter and a dream of writing the next great American novel. 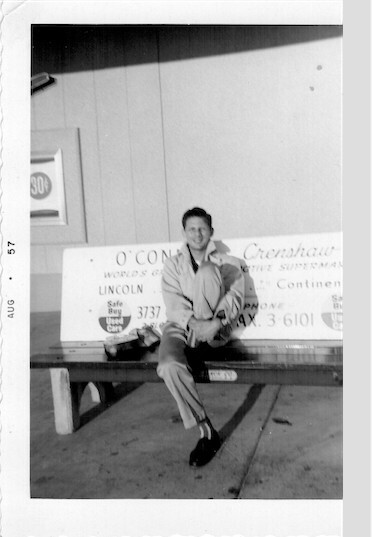 The year after, your father, who you called 'Pop,' used his savings to buy a train ticket from Coney Island to L.A. Pop showed up one morning at your apartment on Crenshaw Boulevard, carrying his canvas bag of bricklayers’ tools. He slept on the couch while you worked late into the night at your typing table in the corner of the room. 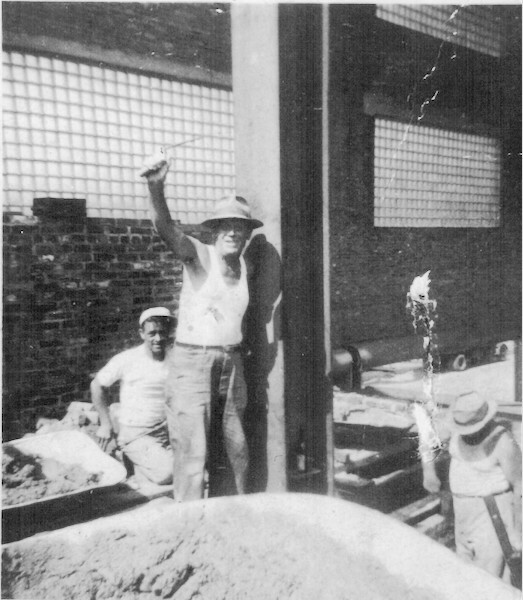 Pop would get up early and shine his tools—his hammer, his chisel, his trowels. Tool bag in hand, he’d walk from job site to job site. But people didn’t build with bricks in earthquake country. Every afternoon Pop trudged back to the cramped little apartment, dejected. The two of you made uneasy roommates. 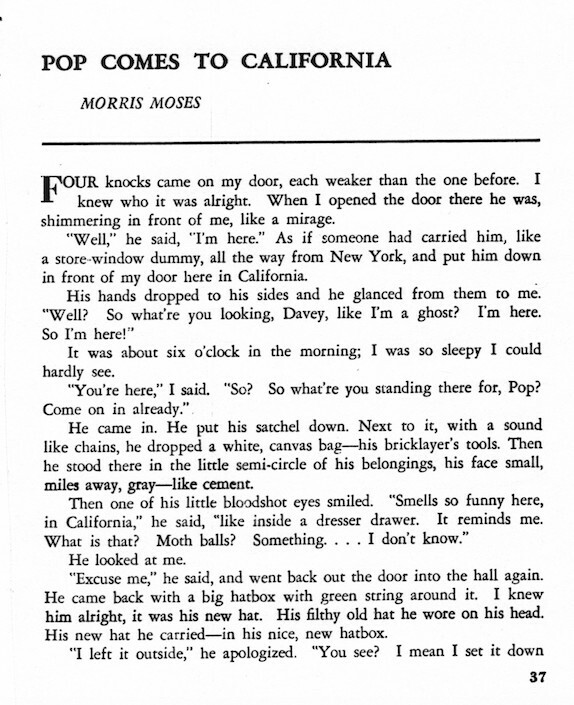 Your dream was to be a published novelist, the next Joseph Heller, and you believed that California, with its limitless horizons and golden light, would make your dream a reality. Pop just wanted a job doing honest labor. You both shared the California dream of opportunity and success. 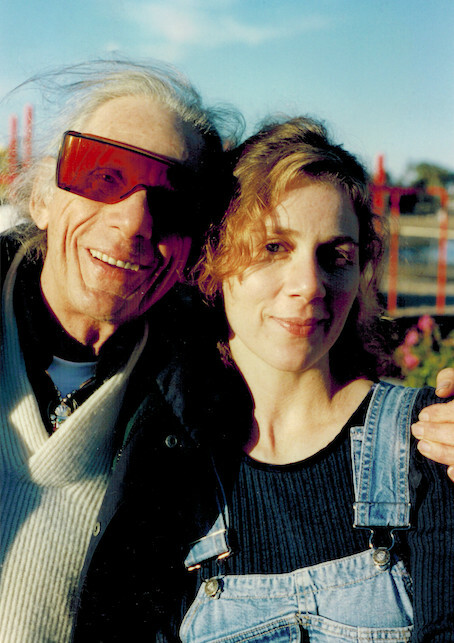 So the two of you came west with the hopes of building a better life; yours with words, Pop’s with brick and mortar. You never did achieve the literary recognition you craved. But you did publish one short story in a literary journal. The title was, “Pop Comes To California,” and it was your masterpiece. I never knew Pop, this grandfather who died long before I was born. But I met him in the pages of your story. To me, the California dream represents freedom—the freedom to be "the hero of my own life," as you liked to say, quoting Dickens. After a lifetime in the Golden State, I’m on the verge of leaving, heading north to Oregon where I hope to write a novel of my own. The price of living in California has risen a bit too high. I still believe in the California dream. I’m just going to look for it somewhere else.